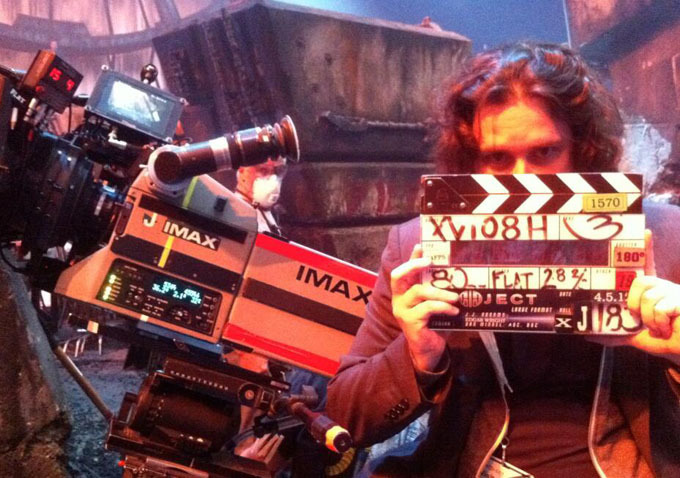 Not long ago Edgar Wright (Scott Pilgrim vs. the World) teased fans by admitting that he directed a single shot in one of this year's big summer movies, eventually revealing via Twitter last week that the movie in question was Star Trek Into Darkness. Along with Wright's reveal came the following image, which, for those familiar with the film, pretty clearly suggests that the shot Wright directed comes during the Kronos sequence. In this particular sequence, Kirk, Spock and Uhura travel to the Klingon-infested planet of Kronos on a dangerous mission to locate John Harrison (Benedict Cumberbatch), who escapes there after causing some destruction back on Earth. Unfortunately for our heroes, they run into more than a few Klingons on the way to pick up Harrison, leading to an all-out brawl that eventually finds its way to a somewhat surprising conclusion. So where is Wright's one shot among all this chaos? Well, you'll have to watch carefully because it'll come and go rather quickly. When we asked Wright to clarify, he told us it was simply a second unit shot of some "Klingons getting blasted." (Heck, if you're going to direct a single shot in a Star Trek movie, you'd definitely want it to be one that involves Klingons getting blasted, no?) Nevertheless, that's where it is for those interested. And if you're antsy to see more than one shot from Edgar Wright, his new movie The World's End -- which we predict will be both one of summer's best and funniest movies -- hits theaters on August 23.